Home > Questionnaires > Questionnaire: Should I Get a Lodger? With increasing mortgage and living costs, owning a property or even attempting to get on the housing ladder can seem impossible. 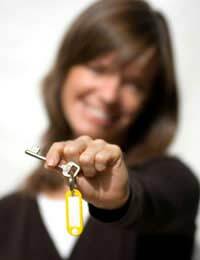 Taking on a lodger could be your secret weapon when it comes to affording a property or having that extra bit of cash. Taking on a lodger is a big step though and is not always the best solution for everybody. Living with somebody can at times feel stressful and intrusive, so make sure you are 100% ready. These few questions should help you make up your mind. A)	I have no means of getting on the housing ladder without having some other means of income. B)	I am currently renting but finding it hard to keep up with my rent payments. C)	I am able to pay my mortgage/rent, but I have little money left over at the end of every month. A)	I’m a sociable person and would enjoy living with somebody else, although ideally I would like to live on my own. B)	I have become a custom to living on my own, but I understand I need to make sacrifices in order to stay in my property. C)	I can’t imagine not being able to watch what I want on television and sharing my house with a stranger. A)	I have some friends that are looking to move in with me, or friends of friends who could be an option. B)	I know a few people who I could ask to move in, but I have nothing concrete. C)	My friends all have their own homes/are living with parents, so I would have to advertise for a lodger. A)	The extra rent would make no difference to my current living situation, but it might mean in the long-run I could upgrade my property. B)	If I were to have a full-time lodger I would be able to move to a bigger flat/apartment and afford the rent comfortably. C)	I’m not looking to move somewhere bigger. 5, Is It Worth It? A)	I already have a spare room which is furnished and I have budgeted for the extra costs associated with a lodger, such as increased council tax and home insurance. B)	I would have to contact my mortgage provider/landlord and check if a lodger would mean I pay more in rent. C)	I currently have a spare room but it is unfurnished. I am also paying very low council tax and home insurance. It seems a lodger might be your only hope of getting on the housing ladder or moving into rented accommodation. It sounds like you are in a good position. It is always better to move a friend in as oppose to a stranger and it means house sharing might even be fun. If it’s somebody you know it means you may not have to sacrifice your little habits such as walking around naked if nobody is around. If you have already calculated your finances with a lodger in mind then there is nothing standing in your way. It sounds like you are in two-minds about whether or not to take on a lodger. If you are already living by yourself, the idea of a lodger sharing your space can seem like a nightmare. If you live in a city or somewhere where rented accommodation is in high demand, it may be possible to get somebody on a part-time basis during the week only and to commute home at the weekend. If your financial situation is not dire, it might also be worth considering taking on a lodger on a six month period and then only renewing their contract if you get on. It sounds like your current situation is not one of urgency and that you may be able to raise the extra money elsewhere. If you really don’t want to take on a lodger then you shouldn’t force yourself into doing so, as this will make your life as well as theirs miserable. You should maybe look at other things such as a change to your lifestyle or downgrading to a smaller property. Taking on a lodger is not the only solution to struggling finances, but if you are willing to it’s an easy way to gain an extra bit of money simply by opening up your house. It is important to think of your end goal and look at it as a temporary measure. You should ask yourself if changing your lifestyle is worth the sacrifice of keeping your home. If the answer is yes then taking on a lodger could be a short-term solution to your problems.